I think the combination of colours in this Naked Underneath palette from I Heart Makeup are really lovely. I have very much enjoyed this selection of shadows for both day and night. I haven’t really seen much hype about this palette and some of that may be because the packaging looks a bit tacky and childish, but I think this palette has been curated in a very thoughtful and dynamic way and that this is a great all-rounder palette. The quality of the shadows are lovely: soft, pigmented and they blend very nicely. These last well on my lids without creasing. Left side of the palette: Free (matte), Stroke, Love, Hidden (matte), 2004, Attention (matte), Seeking (matte), Covered (matte). Swatches (top to bottom, left to right): Free, Stroke, Love, Hidden, 2004, Attention, Seeking, Covered. There is a great mix of mattes and shimmer/satin formulas with 6 mattes and 10 shimmer shades. The colours are also excellently curated with a mix of light, mid and dark tones as well as warm and cool tones. I feel like it is obvious how the shadows could be pulled together for easy, but beautiful looks. And there is a perfect matte transition shade for every tone combination which I LOVE! Plus, there is a matte brow highlight (Free) and a bright inner-corner highlight (Wonderous), which, I might add, is also gorgeous all over the lid. 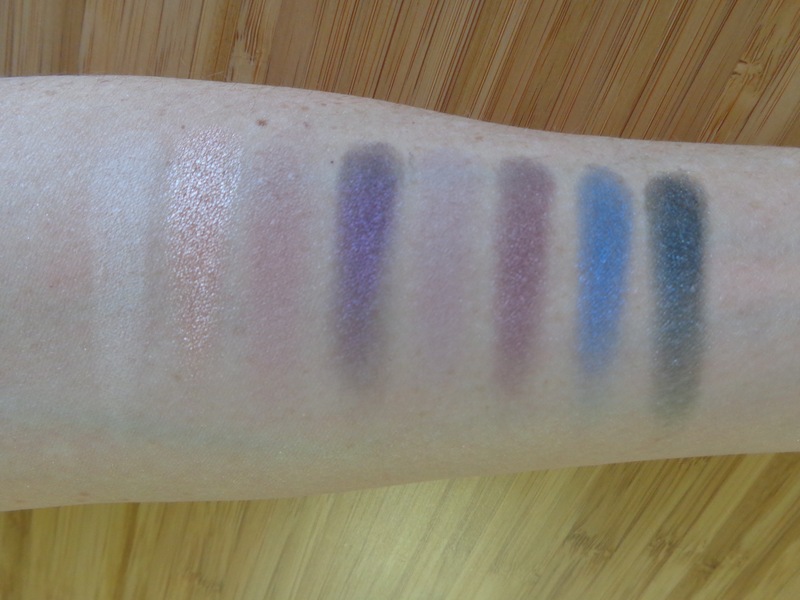 Right Side of the Palette: Reveal, Meow (glitter shade), Darkness (matte), Glory, 1970, After Hours, Missile, Wonderous. 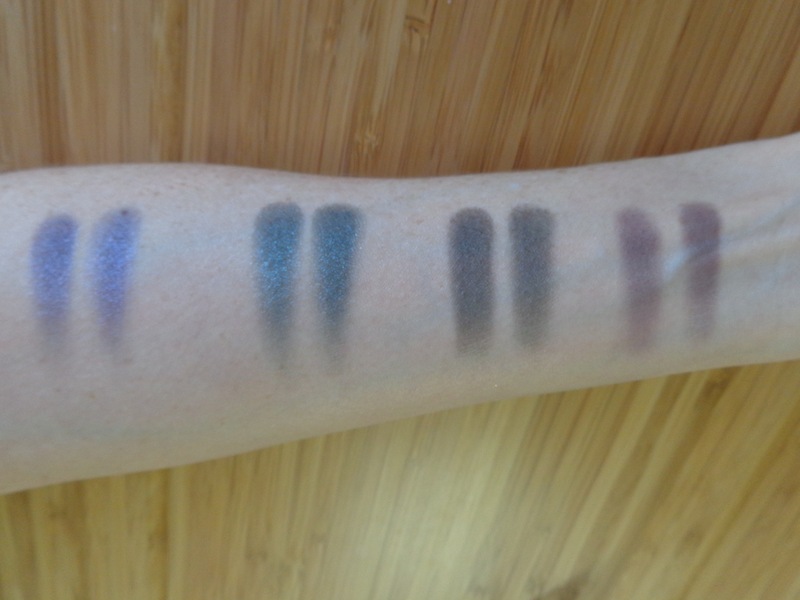 Swatches (top to bottom, left to right): Reveal, Meow, Darkness, Glory, 1970, After Hours, Missile, Wonderous. On a practical note, the fur fabric on the lid molts a bit and it does gather dust so even if you like this packaging, you can’t really display it. For me, like I said at the beginning, the aesthetic of the packaging, well, it isn’t my thing. The fake fur, the big jewel; it is all a bit glitzy and totally not my style at all, but the contents of the palette, which is what really matters, is quite beautiful. I actually really like this selection of shades for travel and would happily take this away on trips where I needed a range of colours and the capacity to move from a very neutral everyday look to a dramatic, smokey or glam look but I don’t want to pack a tone of makeup. This palette retails for GBP7.99 but I purchased this one on sale for GBP4.99 which is about AU$10. At that price, for 16 eyeshadows, I think this is a steal! This entry was posted in I Heart Makeup, Makeup Revolution Reviews, Uncategorized and tagged 16 eyeshadow palette, budget friendly makeup, cruelty free, eyeshadow, Faux Fur Palette, I Heart Makeup, makeup revolution, megansmakeupmuses, Naked Underneath on August 21, 2016 by megansmakeupmuses. The Black Velvet eyeshadow palette from Makeup Revolution’s I Heart Makeup range is said to offer 16 eyeshadows inspired by the fabric ‘black velvet’. This palette is predominantly a matte palette with 13 shades being matte formula and 3 selected shimmer ‘statement glamour’ shades. Like so many of the palettes from the I Heart Makeup range, the packaging of this palette is quite unique. I wouldn’t say that the aesthetic is exactly to my taste but the black jewel and velvet front are certainly in line with the palette theme. The only downside is that the velvet front attracts fuzzy fluff and dust so it isn’t a palette you can really have out on display. 3 rows of eyeshadows. The matte highlighter and matte black are the largest shades. I actually really enjoy the fact that so much of this palette is matte. The quality of the matte shades is lovely and they are really pigmented. Initially I felt that this was a very smokey palette but actually many of the shades are lovely mid-toned crease shades. Although there are only three shimmer shades they still offer a nice range; a champagne, a bronze and a gun metal shade. Row 3: Sweet (yes, a name repeat – but it is a different shade as you can see), Bring, Wild, Cry (shimmer), Velvet. On the whole, this palette offers a lovely selection of matte shades. You have the option of more rosey, brown or smokey tones as well as warm or cool tones which I love. The pigmentation is wonderful and they blend really well. It annoys me a bit that there are two cream shades (True and Tender), and two black shades (Black and Velvet) that are identical – why not put in another colour matte or a couple more shimmer shades instead of these double ups? Otherwise, I am extremely happy with this purchase. This palette hasn’t really had much hype to be honest, but I can totally recommend it, particularly if you are a matte eyeshadow wearer. If you would like to take a look for yourself you can find the Black Velvet palette here. This entry was posted in I Heart Makeup, Makeup Revolution Reviews, Uncategorized and tagged 16 eyeshadow palette, Black Velvet, budget friendly makeup, cruelty free, eyeshadow, I Heart Makeup, makeup revolution, megansmakeupmuses on July 31, 2016 by megansmakeupmuses. New-trals vs Neutrals: the top row is warm corals and burnt reds, the bottom row is soft mauves and taupes. I fell in love with this palette when it was released for the UK’s autumn. I love warm colours on my skin and have recently become obsessed with coral shadows, so this was right up my alley. I couldn’t justify the cost of postage to immediately impulse buy it immediately when it was released but as I was buying some cosmetics as christmas gifts I found an excuse to put it in my basket 🙂 I am in love. The case has a matte cover, good quality mirror and a very useful duel-ended brush. This palette is presented in the same way as the Iconic Pro 1 & 2 with a matte lid and duel-ended brush. The shadows are presented in square pans (which I really like for some reason) and there is a mix of mattes, satins, glitter and shimmery shade formulas. I love the variety here and the shadow quality is excellent overall. I have seen some of the shades of this palette compared as duplicates to the Lime Crime Venus Eyeshadow Palette. I don’t own that palette to do a comparison for you here, but I can certainly see similarities from the pictures online. I actually love the way that the two rows of this palette are so different. The two rows have a very different feel and if I was going to categorise them seasonally I would say the top row is quite autumnal and the bottom is more wintery with its berry type tones. Living in North Queensland where the seasons are basically ‘hot, hotter and hottest’ I find myself dreaming about the idea of having proper seasons but as that doesn’t exit for me here, I will be rocking these colours regardless of the time of year! So lets talk about the shadows. In the top row neutral, trend and tone are matte shades. Custom is a matte base with micro-glitters but I find that these glitters are extremely small and very finely milled. Bias, personal, vogue and new-tral are satin shades. The formula of the satin shades is just stunning and probably my favourite formula in this palette. Bias is a very pretty highlight shade, but I was disappointed by the pigmentation. I find you really have to built this one to use it on the lid, but it is lovely for the inner corner. swatches: top row, left to right – bias, neutral, personal, vogue, trend, new-tral, tone, custom. swatches: bottom row, left to right – cool, style, partial, mode, adapt, buff, suit, strong. In the second row cool and adapt are matte. I am glad to have a cream matte to highlight the brow area and adopt is great to darken up the crease. Buff and suit are satins in mauve/taupe tones. Strong has a blackened base and is packed with dark purple/maroon micro-glitters. This is very glam and I can imagine this would be beautiful for holiday parties. This brings us to style, partial and mode which are the three shimmer shades which are quite metallic. These aren’t the most finely milled shimmers. Styles in particular is a little bit flakey so you might need to kind of layer it on, but these look beautiful on the lid, particularly if you use a little bit of fixing spray during application. I really don’t have a bad thing to say about New-trals vs Neutrals. I love the colour palette, I love the quality of the shadows: it is just overall a really great buy and so unique compared to other palettes in my collection. If you are interested in this one, you can find it here on the Makeup Revolution website for about AU$14. This entry was posted in Makeup Revolution Reviews and tagged 16 eyeshadow palette, budget friendly makeup, cruelty free, eyeshadow, makeup revolution, megansmakeupmuses, New-trals vs Neutrals on November 25, 2015 by megansmakeupmuses. Chocolate Week Time!!! And I am sad to say that this is the final instalment, but I am finishing with my favourite. I am excited to present the I Heart Makeup Naked Chocolate palette. 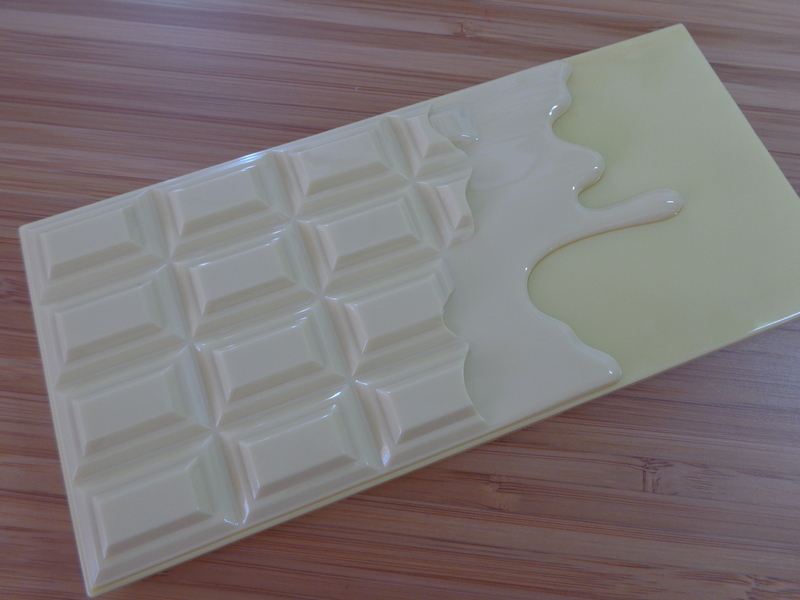 Out of the three chocolate bar palettes currently on offer I really do love this one the most. While the I Heart Chocolate palette is more of an all rounder, and the Death by Chocolate palette is a cooler toned, taupe affair, the Naked Chocolate palette is warmer toned and rich with rosey, chocolate shades. I saw a youtube video that compared some of the shades on offer in this palette to the Lorac Unzipped palette. I don’t own the Lorac Unzipped palette to compare it for myself but the comparison swatches I saw indicate that this is actually a good dupe. 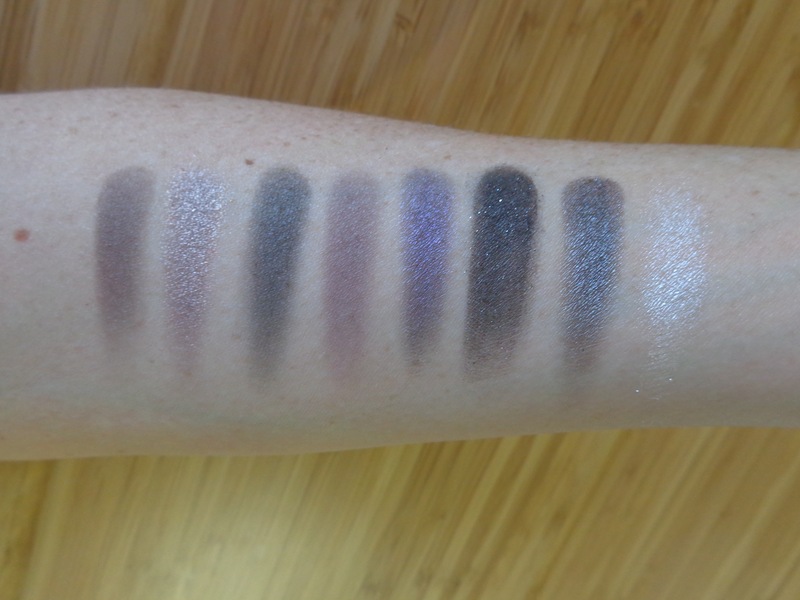 Six of the shadows in this palette are matte and the remaining ten are a mix of shimmer and satin (again, no glitter shades here). I find the mix of lighter, mid and dark tones to be well balanced and therefore quite dynamic for use across all purposes. If I’m not sure what to do for work…this is the palette I reach for. I went to a gallery opening last week and wanted a really elegant eye look… and this was the palette I reached for. I just love these shades. 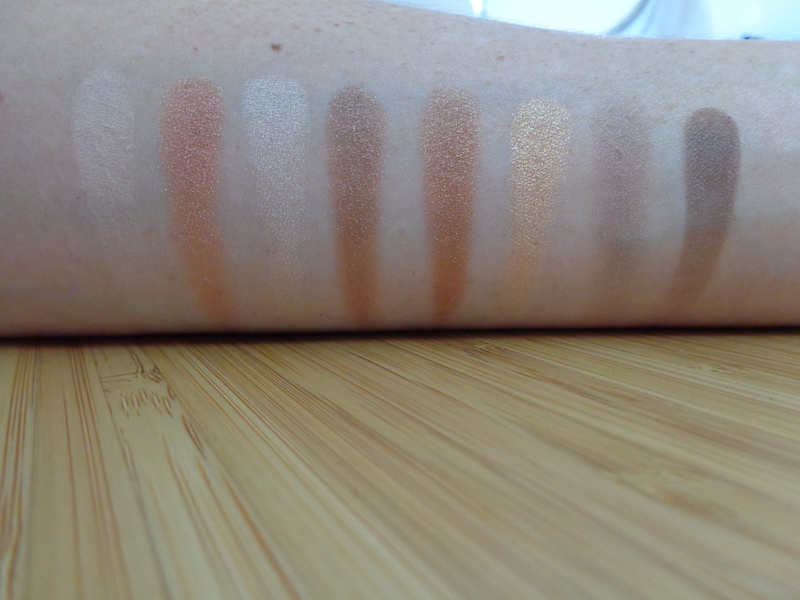 Left of Palette swatches – top to bottom, left to right. 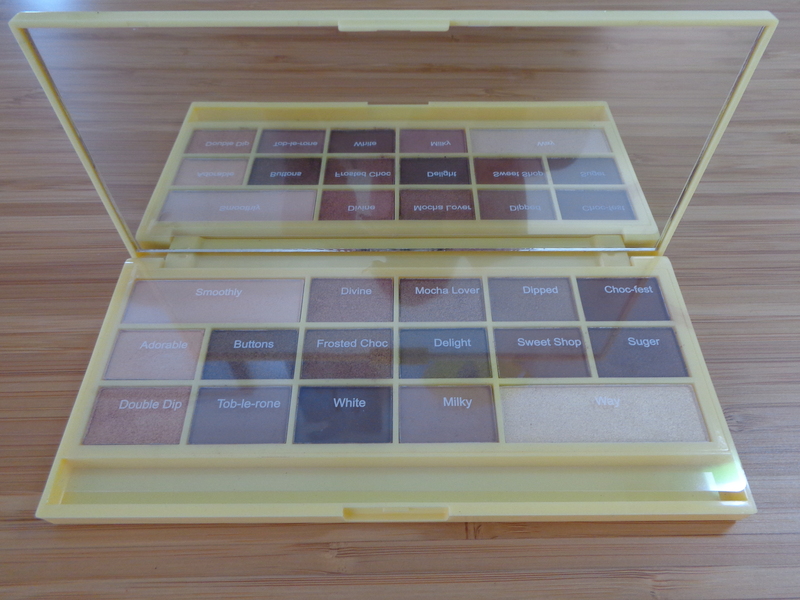 Like the other chocolate palettes in this range, the quality of the shadows is really good. I tap into the shadows gently because they are soft and buttery and are so easy to build. I find the mattes work really well and everything blends nicely without getting muddy on the eye. I use these with a primer and they last really well. 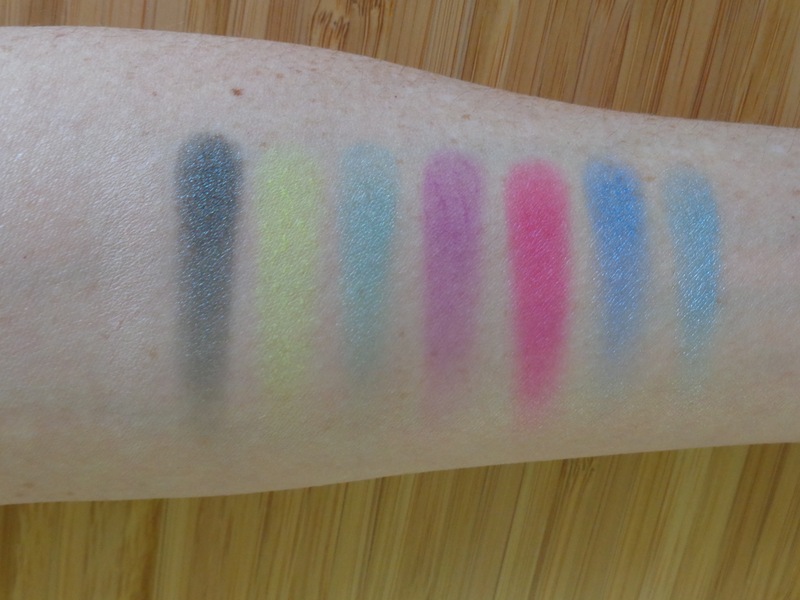 The light was very bright when I took my swatch photos so I feel like the colours are a little washed out in the pictures so you will have to trust me when I say the pigmentation really is lovely. 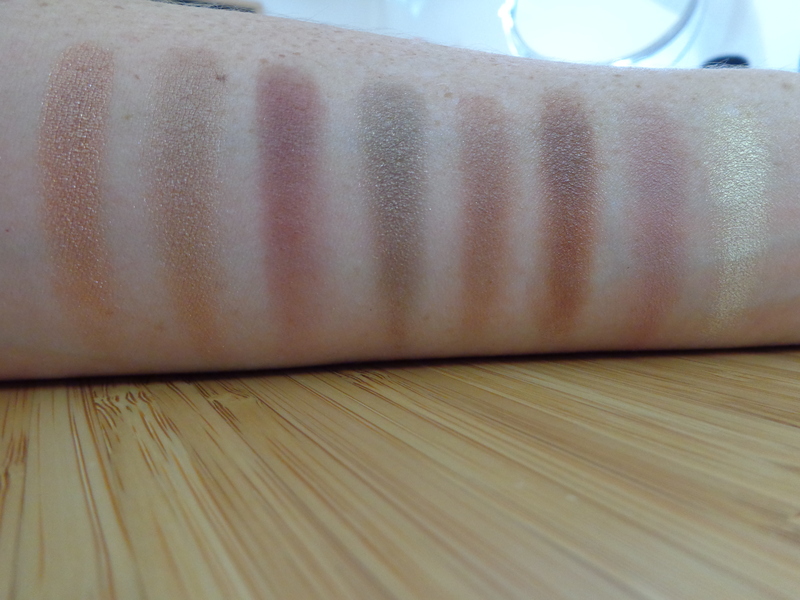 Right of Palette swatches: left to right, top to bottom. 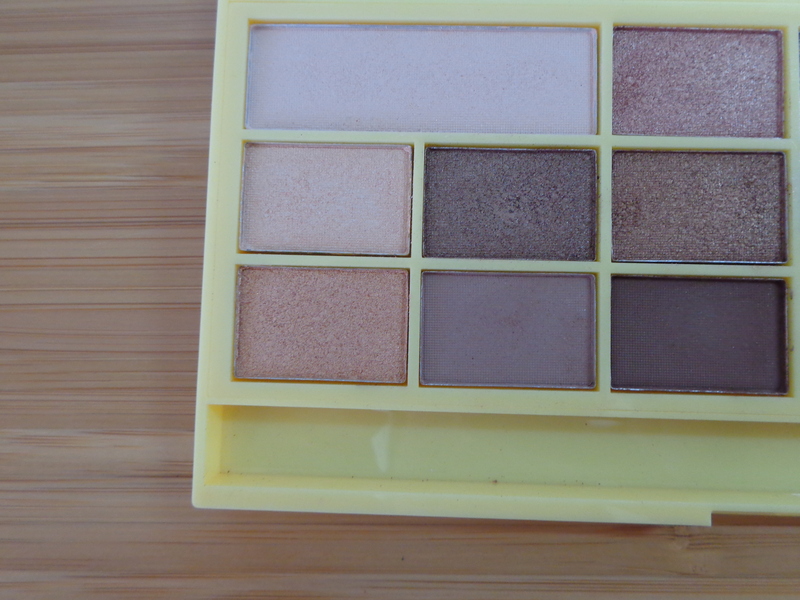 The shimmery highlighter shade on the right of the palette (swatch 8 above) is a very bright gold. I tend to not use this in the inner corner but I think it is beautiful all over the lid because it is metallic and beautiful. I am a lover of all things rose gold and there are so many lovely rosey shades in this palette. I definitely recommend this palette and if you are only going to buy one of the chocolate palettes, this would be my recommendation. Also, if you are keen on the Lorac Unzipped palette but don’t want to pay Lorac prices it might be worth giving the Naked Chocolate palette a go! So that brings my ‘Chocolate Week’ series to a close. Makeup Revolution have just released two new palettes into their chocolate palette range: I Heart Chocolate Pink Fizz and I Heart Chocolate Salted Caramel (which at a quick glance looks like a dupe for the Two Faced Semi-Sweet Chocolate Bar palette). These both look amazing and have gone immediately onto my wish list! So gorgeous people – love makeup, eat chocolate and have a fantastic day! This entry was posted in Chocolate Palettes, I Heart Makeup, Makeup Revolution Reviews and tagged 16 eyeshadow palette, budget friendly makeup, Chocolate Palettes, cruelty free, eyeshadow, I Heart Makeup, makeup revolution, megansmakeupmuses, Naked Chocolate on November 6, 2015 by megansmakeupmuses. Makeup Revolution has recently placed the I Heart Makeup eyeshadow palettes called I Heart Passion and I Heart Sin into their ‘Last Chance to Buy’ folder on their online store. At just GP3.99 or about AU$8 they are a really great price for good quality, cruelty-free eyeshadow so I thought I would review them here for any of you who might like to give them a go before they are discontinued. Firstly the packaging of these palettes is really cute. 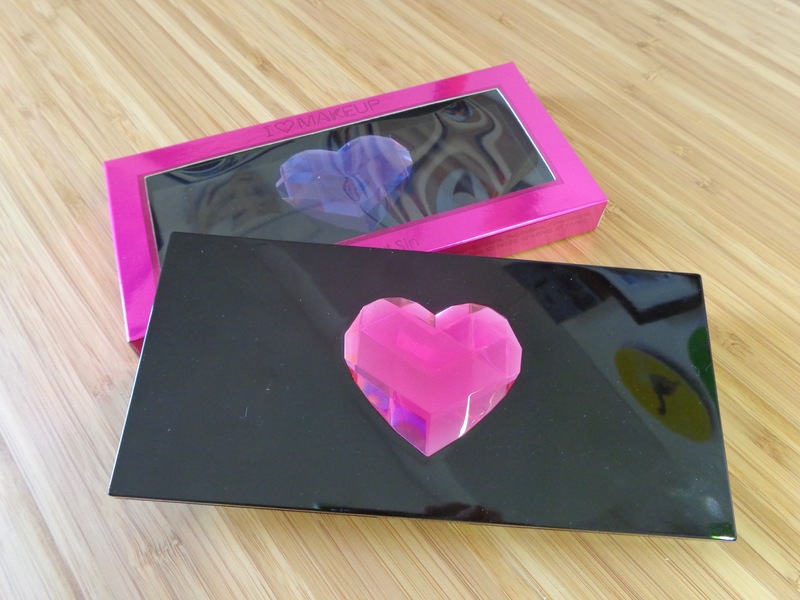 The black case has a glossy front with a pink or purple jewel heart. It is certainly pretty kitsch but they do quite appeal to me. Inside is an impressive mirror which is super handy for travel. Neither of these palettes are what I would describe as neutral. This was the reason I actually purchased these palettes – I am keen to experiment with a pop of colour and some smokey shades, but really don’t have much of either in my collection. On the inside these are set out similarly to the chocolate palettes from Makeup Revolution where there are 16 shades in a mix of matte and shimmer with two larger highlighting shades. 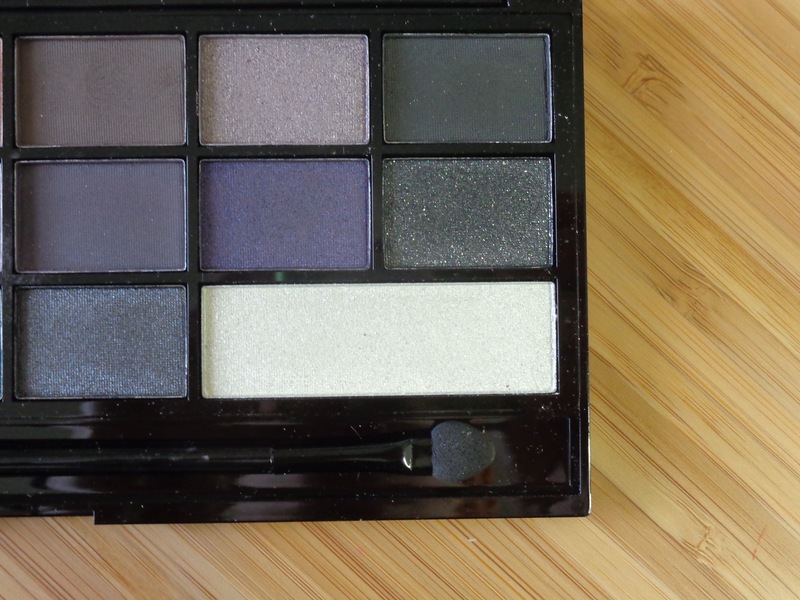 I Heart Passion is a smokey palette with a mix of primarily cool toned colours. 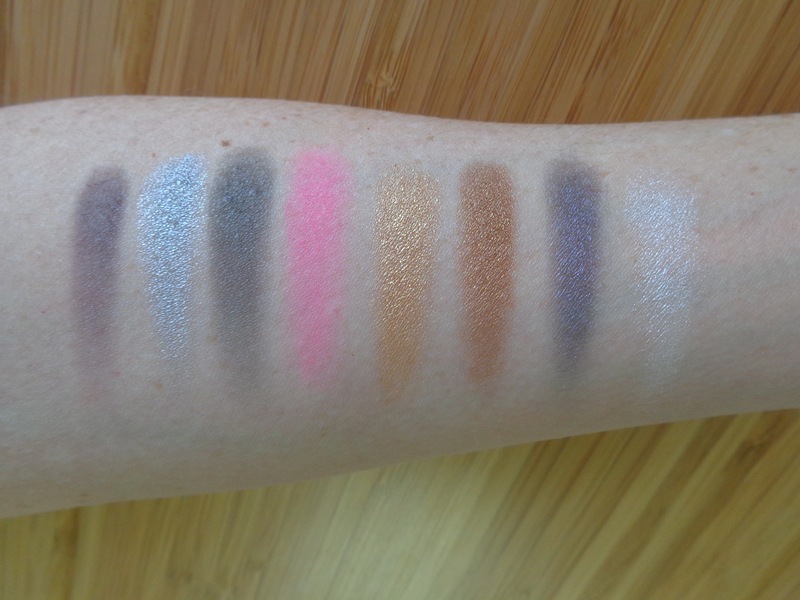 Swatches: Love is the Drug, Limber Up, I Believe, Dangerous Liaisons, In My Heart, Missing a Beat, Never Never and Catch Your Eye. Looking at the left side of the I Heart Passion palette first you can see there is a lovely mix of purple toned colours here with a large creamy, matte highlighter. I adore the shade ‘Never Never’ (swatch 7) which is such a gorgeous blue but to be honest I really like all the colours here. The mattes here perform really well and are both lovely in the crease (‘I Believe’ – swatch 3; ‘In My Heart’ – swatch 5). Swatches: Rumba Down, I Say Go, Guess the Rest, Heartbreaker Romance, Takes Over, We Are Going Home, U Need More and Easier Affair. 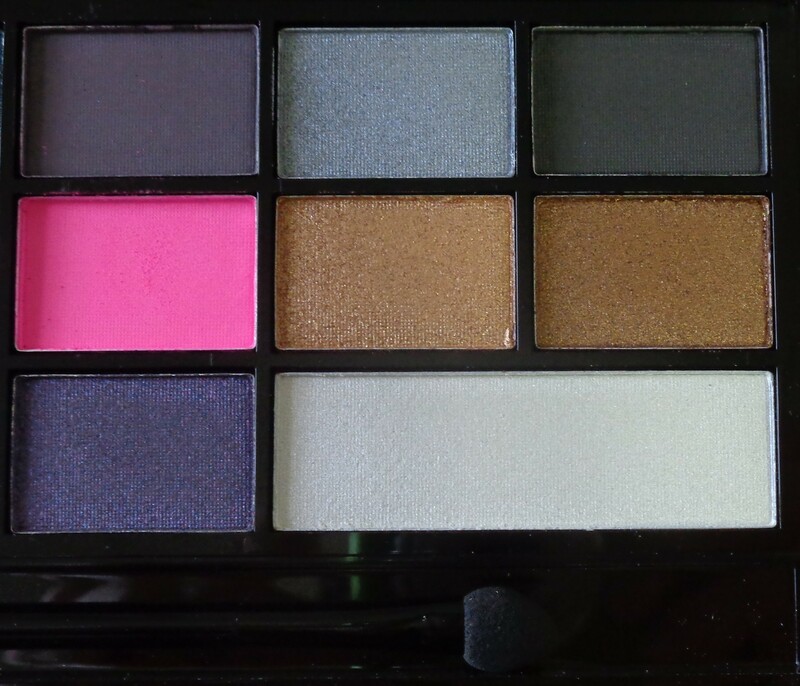 Looking at the right side of the I Heart Passion palette you are faced with some dark, smokey shades. There are three matte shades (swatch 1, 3 & 4) and five shimmery shades. The large creamy shade called ‘Easier Affair’ is quite unusual in texture but is very pigmented. There is one glitter shade in this palette called ‘We are Going Home’ (swatch 6) and it has a black matte base and silver glitter. The swatch doesn’t do this shade justice – it was actually very glitter-dense but it hasn’t translated in the photo. My favourite shade here though is ‘I Say Go’ (swatch 2) which is just divine all over the lid. 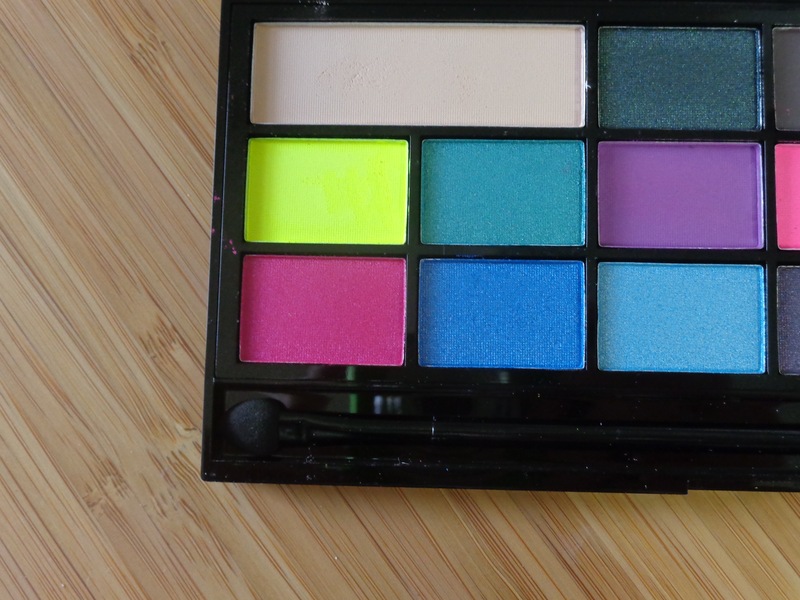 I Heart Sin is a much brighter palette which feels to me like it is perfect ‘party’ makeup. It seems to capture all the colours that you wouldn’t really need on a daily basis but are so fun to have for a special occasion. Swatches: Once an Angel, Glorious Envy, It Works for Me, Jealous Eyes, Future Proof, Colour Crime, Cross the Line and Want it all. 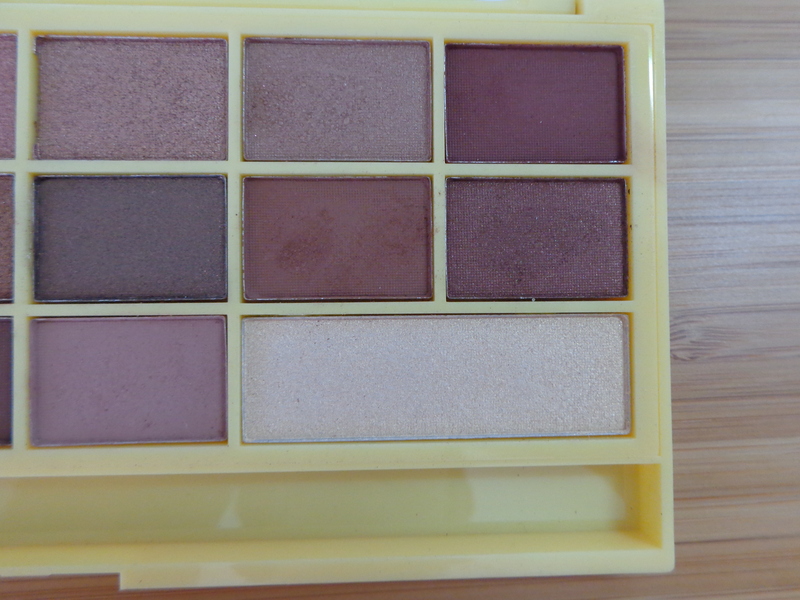 The left side of the palette has two very bright mattes. One in neon yellow called ‘It Works for Me’ (swatch 3) and a bright purple called ‘Future Proof’ (swatch 5). The pigmentation of these isn’t amazing on the first swipe but you can build them quite easily (the photo above is three swipes). The swatch for the matte highlighter shade called ‘Once an Angel’ (swatch 1) is a perfect match for my skin and isn’t really visible in the picture – but it is pigmented! Swatches: Bad Habit, Slave, Bad Boys, Full Throttle, Golden Gun, Greed is Good, Self Indulgent and Do it For Me. The right side of the I Heart Sin palette provides some more neutral matte colours as well as the BRIGHTEST pink matte shade called ‘Full Throttle’ (swatch 4). Again, it has pigmentation that needs to be built up but WOW. The right side of the palette also provides some metallic shades including a silver, gold and copper colour (swatch 2, 5 & 6) which are very pigmented and beautiful. The highlight shade here called ‘Do it For Me’ (swatch 8) is so much more lovely than these photos show. It is such a gorgeous inner corner highlight colour. I have one final point to make before wrapping this one up – be aware if you are going to purchase both these palettes that there are four double-up colours across the two palettes. Colours from I Heart Passion are on the left and I Heart Sin on the Right: Purples: Dangerous Liaisons – Self Indulgent. Greens: Catch Your Eye – Glorious Envy. Charcoal Matte: Guess the Rest – Bad Boys. Dark Taupe Matte: Heartbreaker Romance – Bad Habit. Overall I think these I Heart Makeup palettes are really great quality. I purchased them specifically to add to my collection of smokey and bright colours and they are excellent examples of those categories. I can’t think of anywhere else in Australia where you could buy something comparable to these in terms of quality for such a great price. If you like the look of these palettes I would recommend you pop over to the Makeup Revolution website and grab yourself a bargain before these are discontinued. 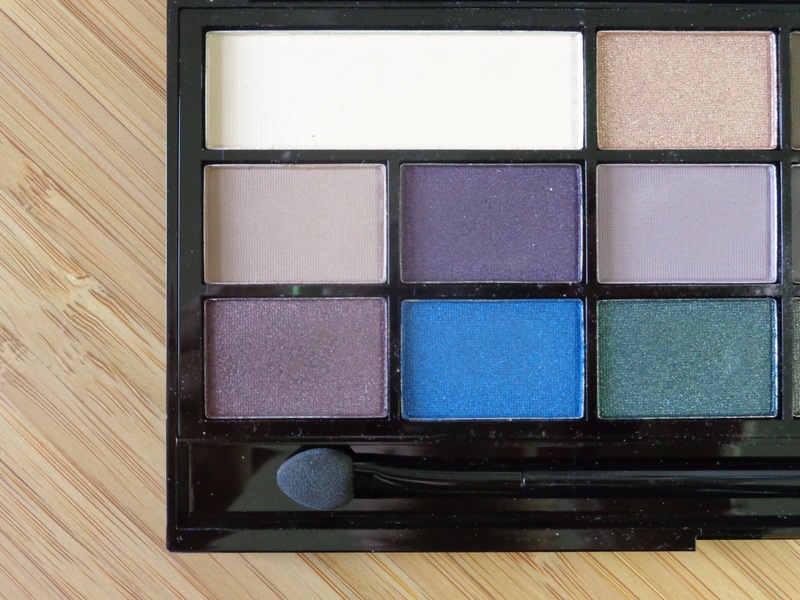 This entry was posted in Makeup Revolution Reviews and tagged 16 eyeshadow palette, budget friendly makeup, cruelty free, eyeshadow, I Heart Makeup, I Heart Passion, I Heart Sin, makeup revolution, megansmakeupmuses on July 19, 2015 by megansmakeupmuses.